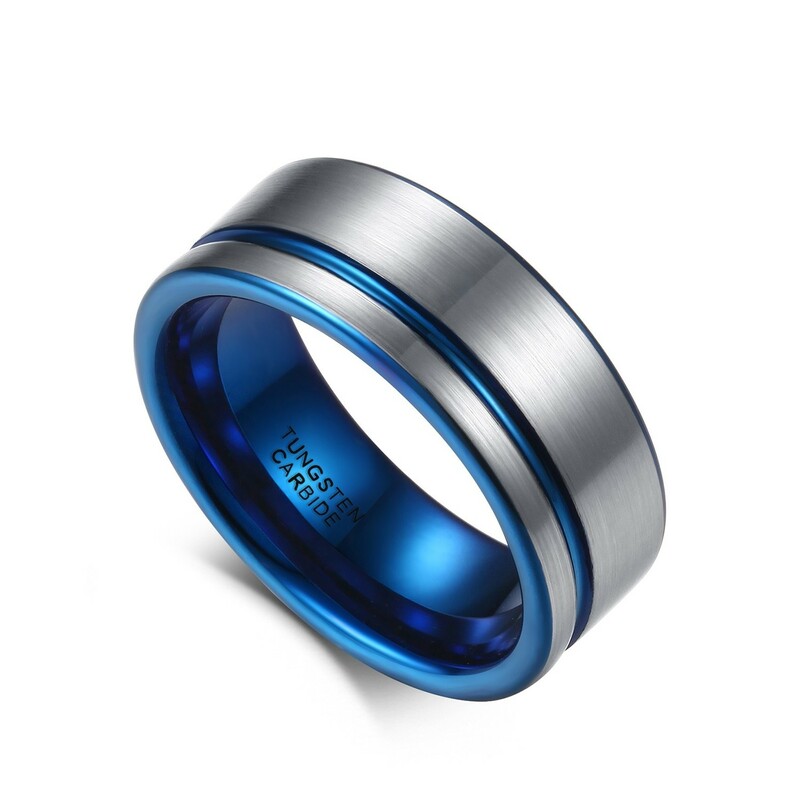 Made from tungsten carbide, this white brushed tungsten ring with blue grooved has superior strength and never changes color. 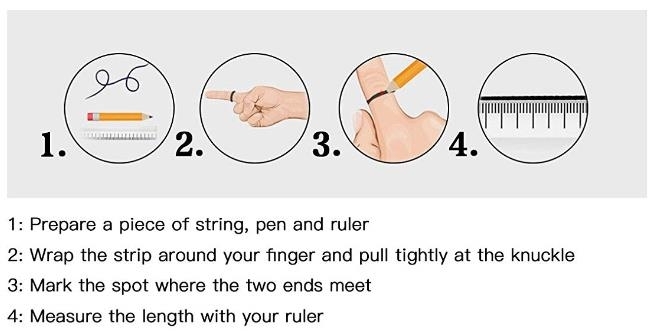 At the same time it will not make your skin allergic or scratched. We guarantee eternal quality. In our shop, you can buy better quality products at a lower price, we will try our best to make you 100% satisfied. Find your rings at our store! 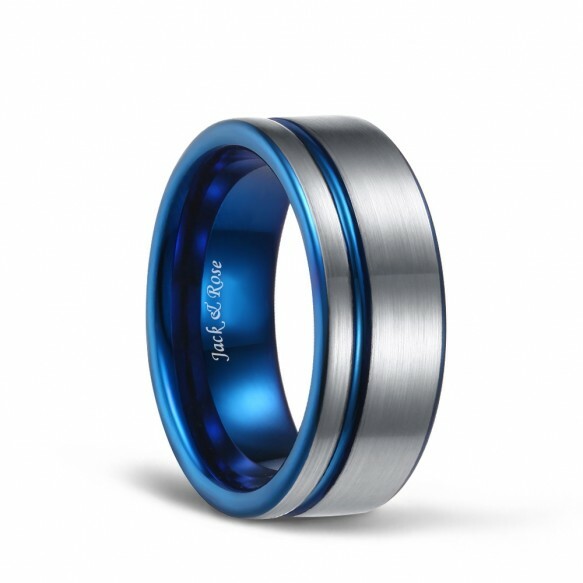 Perfect ring for my hubby! Can't beat the price or the quality. Fit perfect. Fast Shipping. Highly recommend. Love it! 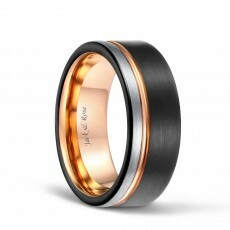 Wear everyday, very nice ring. 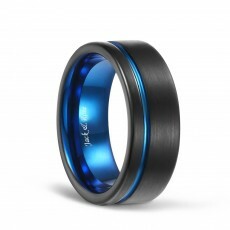 I got the ring in good time , it was packed good and was ready to wear. The color is great shiny and light also. My friend loves it! 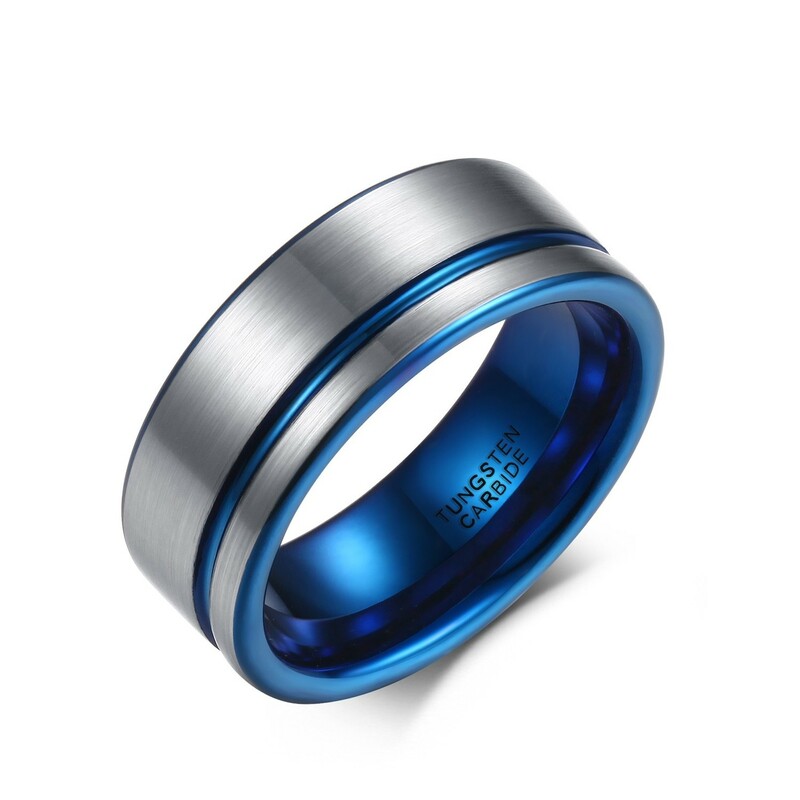 Very sturdy and stays shiny after being worn for long periods of time. Would highly recommend. Im a mechanic and this ring doesnt scratch ive had for a full week now and have had no issues with it looks great and comfortable.